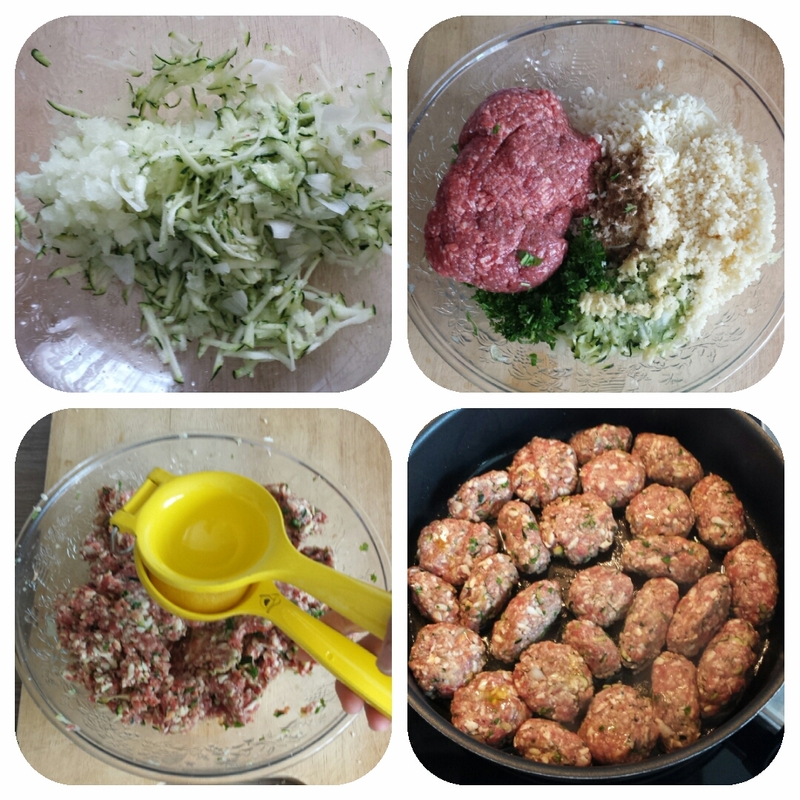 Halloumi Beef Kofta – These kofta turned out seriously delicious! The halloumi and zucchini made them lovely and moist in the middle. These would make a great addition to lunchboxes! Yum! Suitable for 12 months up and freezable. Update: 30th March 2017. 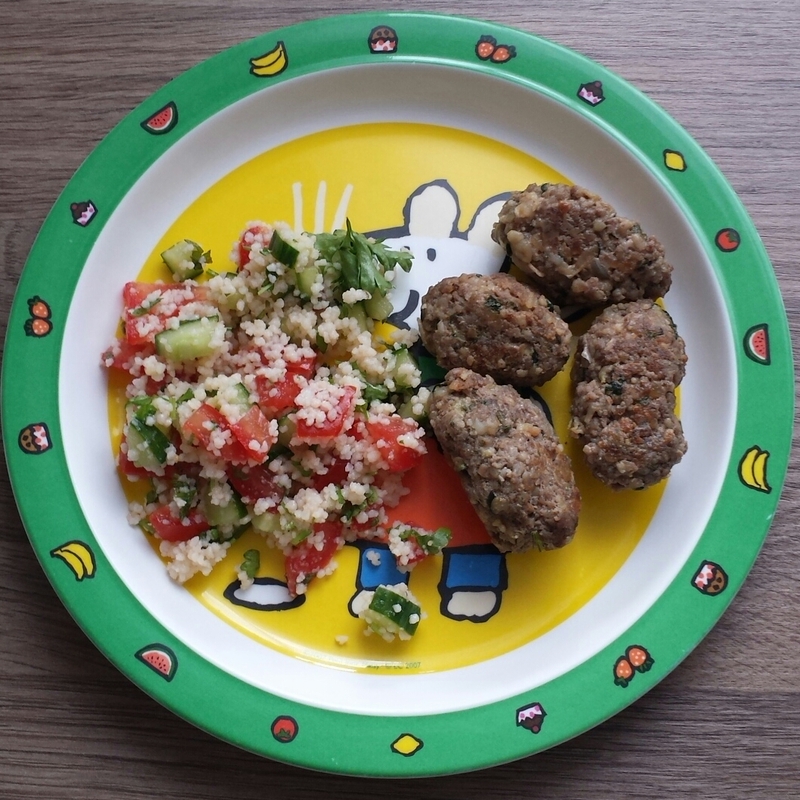 My toddlers finished all the koftas on their plate but didnt touch the tabouleh, so I gave them half a pita bread and they ate them all. 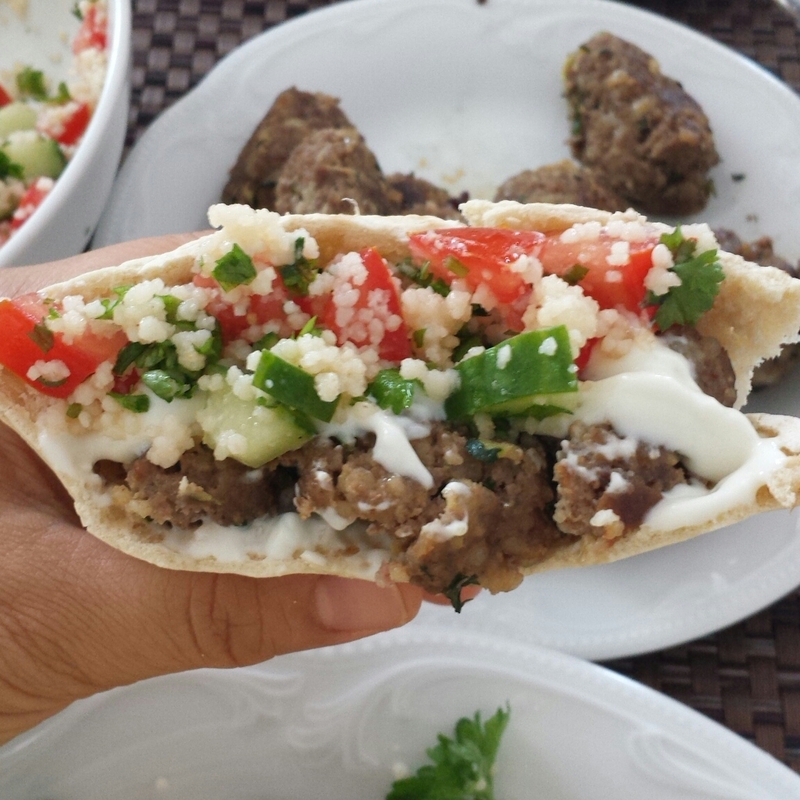 I served them with homemade tabouleh, store bought pita bread, homemade tatziki and ate them like a kebab. Add the rest of your ingredients and mix well. Then roll them into your desired shape. Fry in olive oil over medium heat. Serve with tabouleh, pita bread and tzatziki. Yum!